Age: There is an age criteria for the approval of personal loan. The minimum age requirement for availing personal loan is 23 years and maximum is 58 years. ICICI Bank offers personal loans for a maximum period of 60 months. Net Income : Your net income required to avail personal loan is Rs. 25,000 per month. Your eligibility is majorly determined by your income (Net take home salary).Your capability of paying EMI’s is judged on the basis of income earned as your loan EMI’s are not affecting your living standards. FOIR : FOIR (Fixed Obligation to Income Ratio) is an important parameter that ICICI Bank uses to find out your ICICI Bank personal loan eligibility. ICICI Bank takes all your fixed obligations (like rent or current EMIs) into account while estimating your eligibility. Minimum FOIR required to be eligible for personal loan from ICICI Bank is 0.45. Calculate and compare your eligibility with ICICI Bank personal loan calculator and apply online for eligible loan amount hassle free. Illustration- Mr. A who is 25 years old has a net income of Rs. 25,000. He wants to take a personal loan of Rs. 1 Lakh for 60 months. ICICI Bank allows a maximum FOIR of 0.45. Based on the information provided by the applicant, bank will calculate his eligibility using eligibility calculator. With a salary of Rs. 25,000, the maximum amount for which he is eligible is Rs. 5.14 Lakh. The interest he has to pay for this amount for 60 months is 11.25%. CIBIL Score: Your credit behaviour and track record from your past lenders and credit card providers gets captured in your CIBIL score. CIBIL score is the most important factor to define your eligibility to get a personal loan. When checking eligibility for personal loan, ICICI Bank will look at the complete CIBIL report, which also includes all past running loans and your payment track record on loans and credit cards. Higher credit score increases your chances that your loan application from ICICI Bank will get approved. However, low CIBIL score will decrease your eligibility to get personal loan. 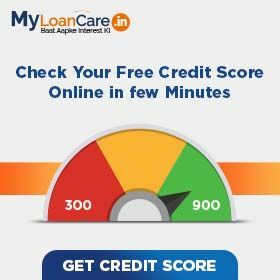 ICICI Bank requires a minimum credit score of 650 to be eligible for a personal loan. Late payments on past loans – Any delay in payments on your existing or past loans can negatively affect your CIBIL score and it may also reduce your chances of getting personal loan from ICICI Bank. Multiple loan applications – If you apply for personal loan in multiple banks at one time, it can affect your score negatively and reduce your CIBIL score. In case of application rejection from ICICI Bank, improve your credit worthiness to get a good score and your loan application to get approved. Job stability and profession - Job stability is important to improve your eligibility to get a personal loan from ICICI Bank. Your total work experience and current work experience are assessed to evaluate your job stability and profession. ICICI Bank looks for minimum total experience of 24 months and also looks for applicants who have been employed in the current job for a minimum of 12 months. Residence place and stability – Banks are very particular about the residence of the borrower. There are few areas which are considered negative by the bank. ICICI Bank has a pre decided list of area in which the bank will lend. The bank also has a negative list area of locations in which it will not lend depending on the past credit behavior of borrowers from such localities. ICICI Bank also gauges your residential stability by checking on the number of years since when you have been staying in your current residence. If you are staying in your own residence, it definitely improves your chance of getting a loan from ICICI Bank. Minimum residence stability to be considered by the bank is 12 months. Industry Type – ICICI Bank has a negative list of professions and type of industry, defined as customer or industry segments to which ICICI Bank will not give loan. So, your chances of getting a loan approval also depends on your profession and industry you are employed in. Salary Mode – Most of the banks consider salary transferred to the bank account as secure and stable income with adequate income proofs. If you are earning well but getting salary through cash or cheque then bank will not give you loan because bank needs concrete evidence of your salary to support your loan amount. So, salary transfer mode of payment is preferred by ICICI Bank if you apply for a personal loan. What are the eligibility criteria to avail ICICI Bank loan? The minimum age of the applicant required to get personal loan from ICICI Bank is 23 years. The maximum age for salaried employees can go up to 58 years. What should be the minimum net monthly income of the customer to get ICICI Bank personal loan? The minimum income for salaried employee should be Rs. 25,000 per month. How much work experience is required for personal loan from ICICI Bank ? The applicant must have at least work experience of 12 months in order to avail the benefit of ICICI Bank personal loan. 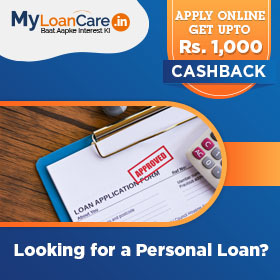 The maximum loan amount an applicant can get under personal loan from ICICI Bank is up to Rs. 30 Lakh. Will CIBIL Score affect my personal loan from ICICI Bank?